If you’re a regular concert-goer, you know that concerts can get pretty loud. Uptill a point where you can’t only hear but feel the bass running through your body. It’s a great feeling but there’s a downside to it: hearing damage. With an earplug designed for concerts, you’ll get to enjoy that feeling without having to worry about any negative side effects. 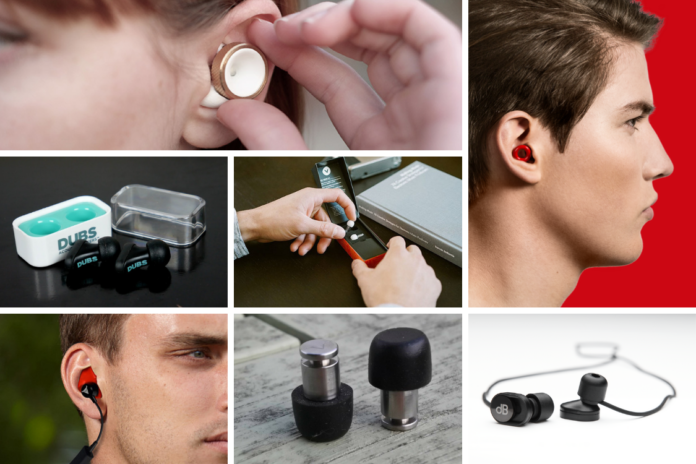 What makes an earplug great for music? Sound Quality: look for an earplug with an acoustic resonator. This will ensure an equal sound reduction across all frequencies. Making music and speech sound clear. Sound reduction: we recommend getting an earplug with a sound reduction of 20 decibels, more or less. It’s the perfect balance between protection and music experience. Ultimate comfort: every ear is unique even more, unique than your fingerprint So look for an earplug that fits your needs. Define your personal preference of material and size. 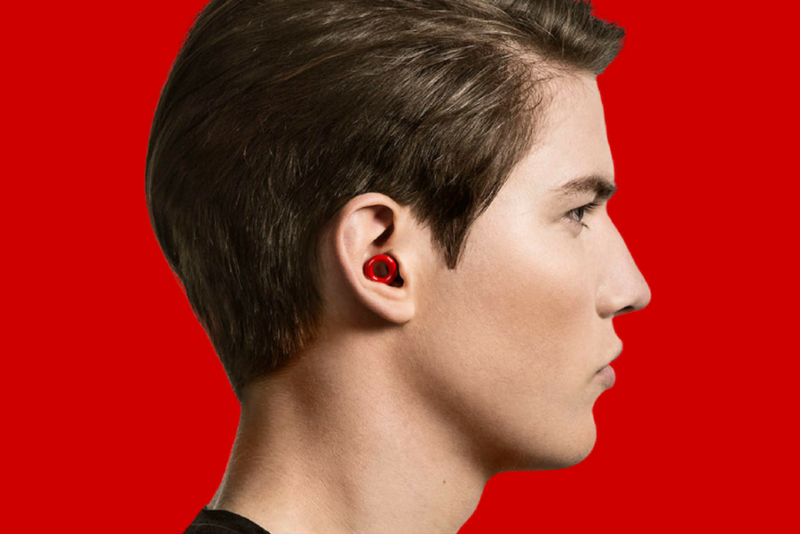 Great looks: an earplug that doesn’t stick out and has an elegant feel to it. Want to explore these 4 key features? 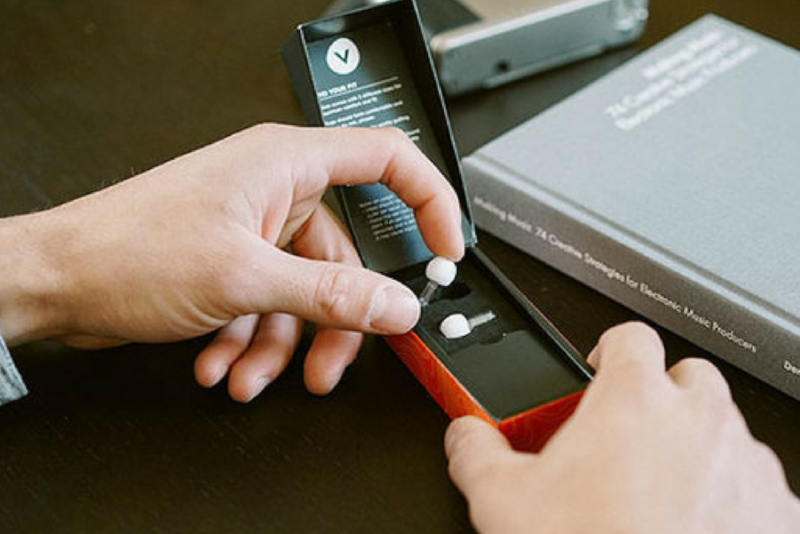 Vibes is an earplug that lowers the sound of your surroundings by 22 decibels without sacrificing sound clarity. 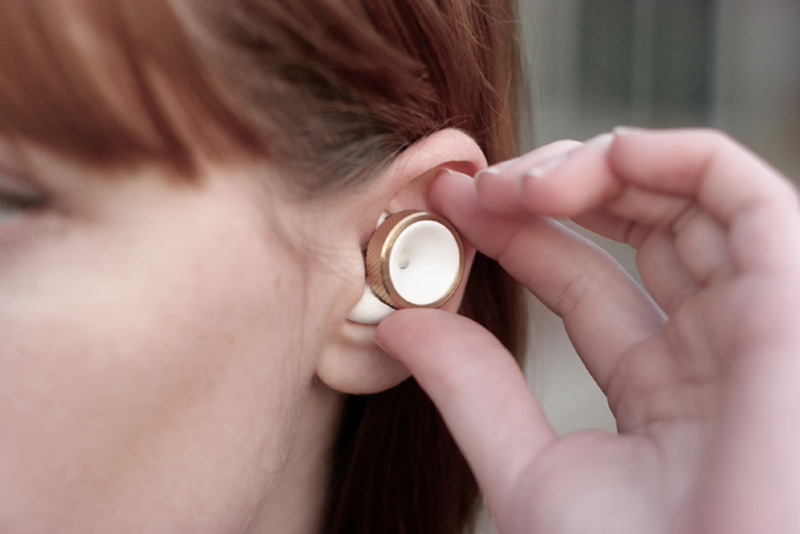 The earplug has a sound tube that balances sound waves and a sound-enhancing acoustic filter. Each pair of Vibes comes with a set of small, medium, and large ear tips. For each sale, Vibes makes a contribution to the Hear the World Foundation. Vibes is available in white for $23.99. dBud is an earplug with a volume slider that offers a sound reduction of 11 and 24 decibels. The earplug is made out of an acoustic mesh that controls airflow and attenuation, an acoustic insert that contains a variation of holes and air volumes to enforce or reduce frequencies and an acoustic membrane that controls the attenuation of lower range frequencies. Each pair comes with three sets of silicone ear tips, three sets of foam ear tips, an attachable leash and a carrying case. dBud is available in black for $59.00/€49,00. Knops is an adjustable earplug designed for all kinds of purposes. The earplug is made out of three parts: a base, gramophone cone and metal ring. By turning the metal ring, you can adjust the earplug’s sound reduction to one of its four settings. The first setting has a 0 decibel sound reduction. Setting two has a sound reduction of 10 decibels. Twist again for setting three and you’ll have a 20 decibel sound reduction. The fourth and last setting has a sound reduction of 30 decibels. Knops is available in white and black, price ranges from €85,00 to €125,00. Loop is an earplug for music that works on three stages: acoustic resonance, an advanced filter and a perfect seal of the ear canal. The result is a 20 decibel equal sound reduction across all frequencies. This makes sure that both music and speech remain clear, but at a lower volume. The earplug creates its acoustic resonance through a hollow acoustic channel. This channel was 3D-printed into a round shape to make it compact and fit every ear. It also gives Loop its unique look that doesn’t stick out. Each set comes with six different pairs of ear tips: silicone ear tips (small, medium and large) and memory foam ear tips (small, medium and large) and a protective carrying pouch. Loop is available in five different colors and costs $29.95/€29,95. Decibullz is a custom molded earplug. Unlike regular molded earplugs that are made by a registered audiologist, you make these earplugs yourself. 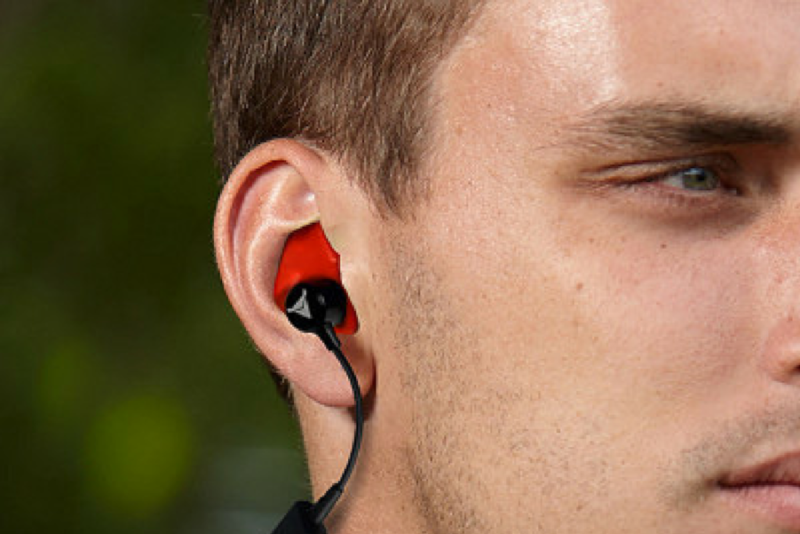 They offer a 31 decibel sound reduction. After heating the earplugs in boiling water, you let them cool down for a few minutes and shape them to your ears. Each set includes two Decibullz thermoplastic custom molds, three sets of triple flange tips S, M, L, one set of max protect medium foam tips and a carrying pouch. Isolate is a multi-purpose micro ear protector and uses solid aluminium that blocks direct sound from entering your ears including bass frequencies without any batteries. 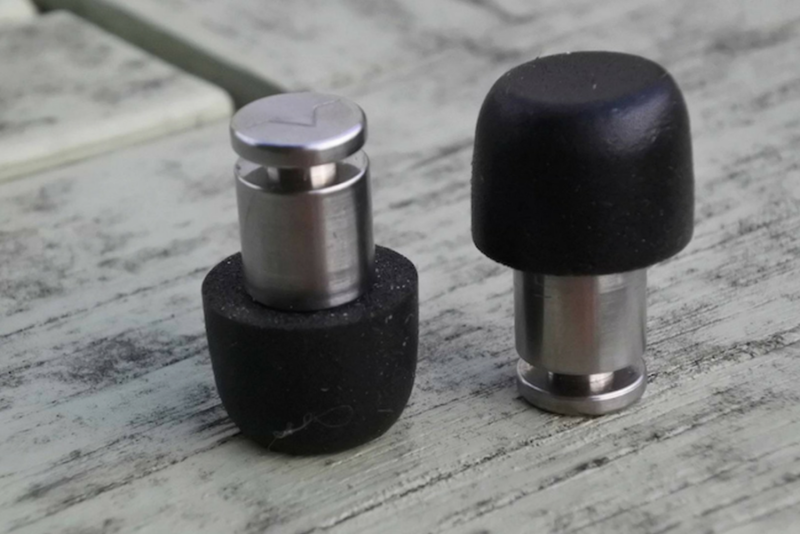 The earplug also has a slightly smaller version: the Isolate mini. They both come with three different sets of earfomes. Their sizes depend on the version of the earplug you purchase. Isolate is available in seven different colors, prices range from €28,20 to €31,59. Isolate mini is available in four different colors, prices range from €28,15 to €33,78. 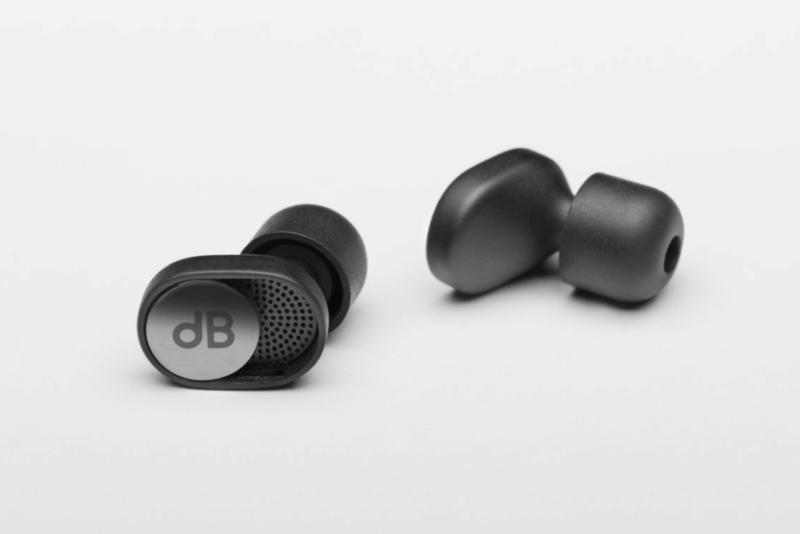 DUBS is an earplug designed by Doppler Labs that provides an optimal listening experience. The earplug uses a dynamic attenuation and an intricate mechanical process that filters sound. This combination of filters provides a response curve that approximates these changes. The earplug has a sound reduction of 17 decibels. Each set comes with a storage case. 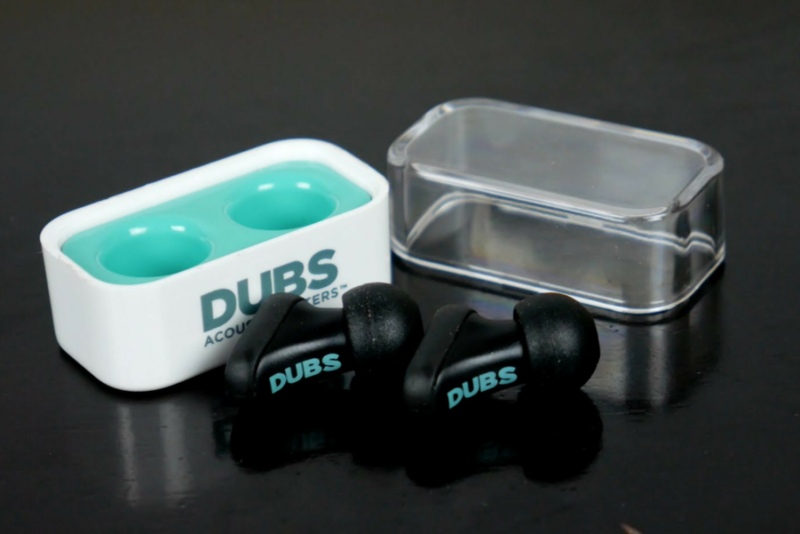 DUBS is available in four different colors and cost $25.00.